Celebrate the Season. Enjoy food, refreshments, music and raffle prizes as we give thanks to our volunteers and community partners. 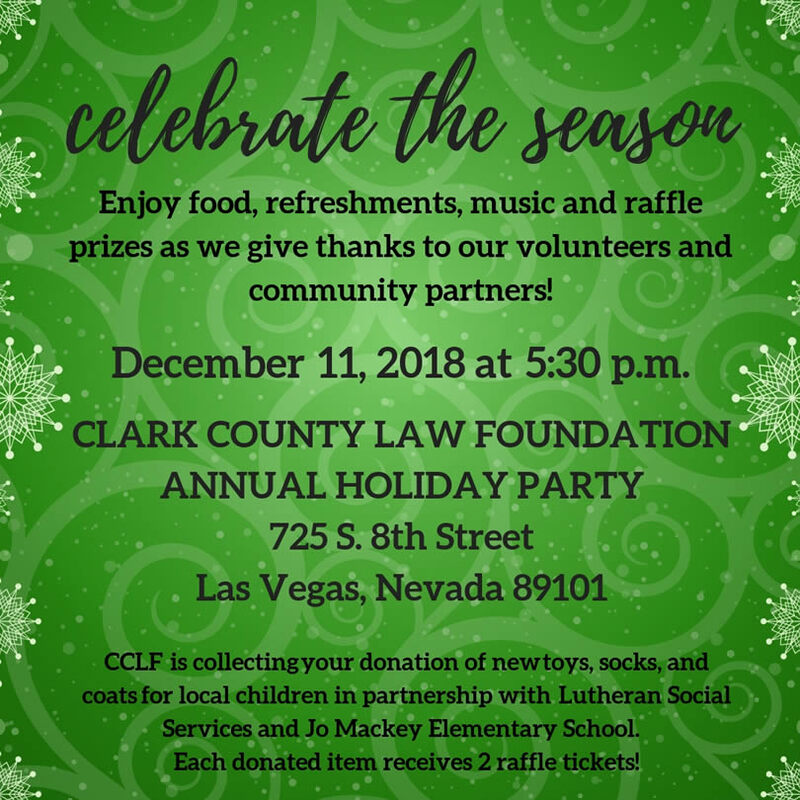 Clark County Law Foundation Annual Holiday Party is happening on December 11, 2018 at 5:30 p.m. at 725 S. 8th Street, Las Vegas, NV 89101. CCLF is collecting your donation of new toys, socks and coats for local children in partnership with Lutheran Social Services and Jo Mackey Elementary School. Each donated item receives 2 raffle tickets. TRIAL BY PEERS on News 3 Live! Trial by Peers on Channel 3 - News 3 Live! 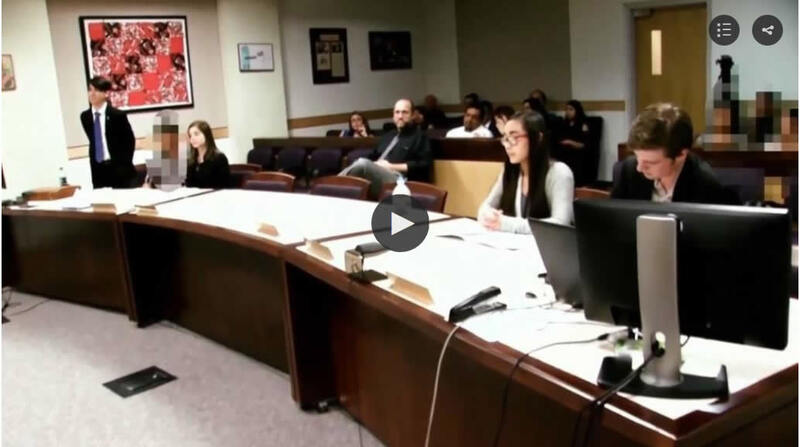 After eight exciting weeks of law training and participating in mock trials, our newest group of student volunteers is ready to be sworn in as young attorneys (Peer Counselors) in the Trial by Peers (TBP) program. We're excited to announce this year we will be welcoming students from 18 different schools across the valley. The graduation and swearing-in ceremony is a special evening where the Honorable Frank P. Sullivan recognizes the efforts of all our volunteers and community partners that help make TBP a success. It's an evening with much to celebrate and we hope that all of our volunteers, parents, community partners and supporters of the program are able to join us. 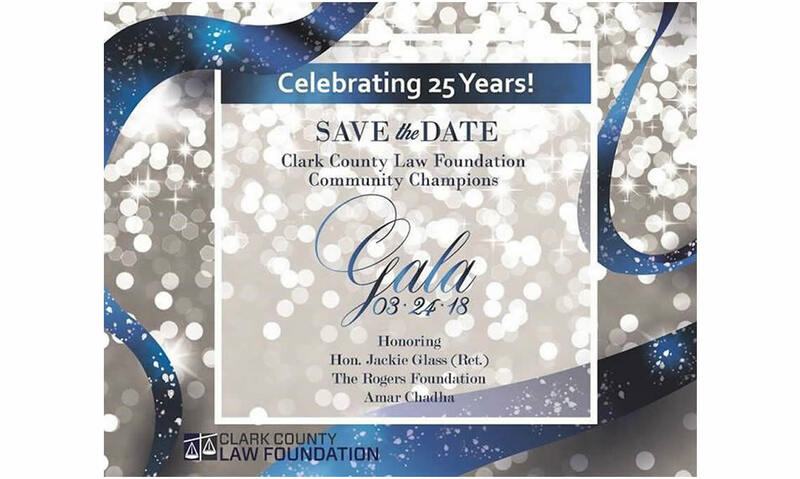 On Saturday, March 24th (6pm to 10pm) the Clark County Law Foundation will host the Community Champions Gala at the Keep Memory Alive Event Center. 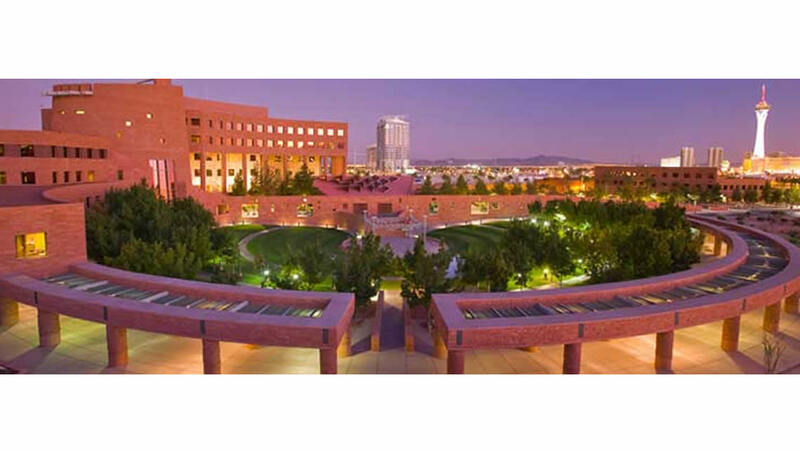 This prestigious, black tie event will include a cocktail reception, dinner, inspiring awards presentation, silent auction and exciting entertainment following the awards ceremony. 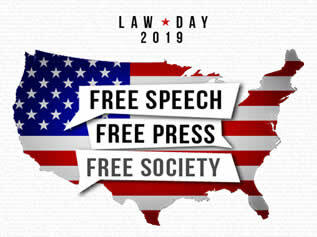 © Copyright 2018 Clark County Law Foundation - All Rights Reserved..